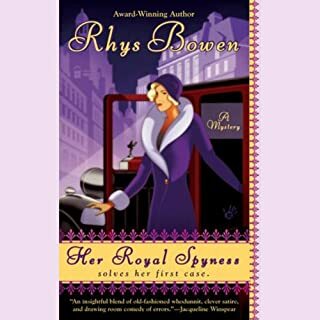 What made the experience of listening to Her Royal Spyness the most enjoyable? Just a fun story. All light hearted. Bringing the era to life. Her different voices for the characters. Introducing to us all the different levels of society. 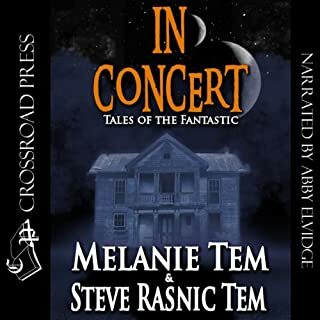 In Concert collects the collaborative short fiction of Melanie Tem and Steve Rasnic Tem, who have worked at the cutting edge of imaginative fiction for over a quarter century. In the twenty-one tales herein, the reader will find fear, joy, and mystery. In Concert showcases the wide range of their collaborative work. The title story tells of a lonely elderly woman who achieves rapport with a lost astronaut through the power of music. What did you love best about In Concert? The variety of stories makes this an interesting listen. What was one of the most memorable moments of In Concert? The story titles "The Icy Region My Heart Encircles," which is about an Mary Shelley, the creator of Frankenstein. I love it when an author takes character's from other works of fiction and extends their lives and plays with that character creating something new. What three words best describe Abby Elvidge’s voice? Abby has variety however she can be a bit slow at times. 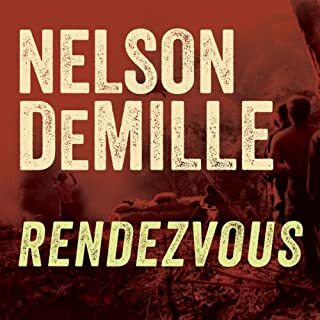 What made the experience of listening to Rendezvous the most enjoyable? The writer got you into the scene very quickly. I felt fully submerged into the environment. Yes. It is through the combination of writing style, pace and excellent narration. Makes me want to explore other works by this author. To Stephanie O'Hanlon, 40-something workaholic, a blank to-do list is crazy-making. 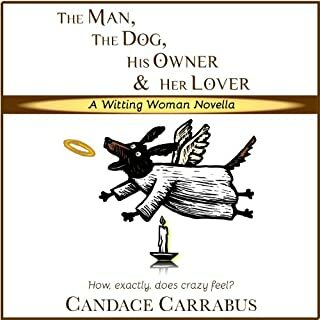 When she gets laid off and rescues a huge, smiling dog from a shelter - a dog her friend insists is inhabited by Steph's lover from a former life - she discovers the true meaning of crazy. If you could sum up The Man, The Dog, His Owner & Her Lover in three words, what would they be? The dog of course and the easy flow of the narrative. What about Sara Morsey’s performance did you like? Her voice and timing matched the writer's style. A lovely listen especially if you have something boring to do like ironing. Four friends, recent college graduates, caught in a terrible job market, joke about turning to kidnapping to survive. And then, suddenly, it's no joke. For two years, the strategy they devise - quick, efficient, low risk - works like a charm. Until they kidnap the wrong man. 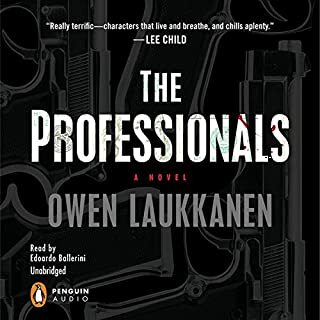 Now two groups they've very much wanted to avoid are after them - the law, in the form of veteran state investigator Kirk Stevens and hotshot young FBI agent Carla Windermere, and an organized-crime outfit looking for payback. Grapes you straight away for a fast paced ride. Great story and the author makes you care for the characters. I wanted them to get away with it. The detectives felt new and fresh.